Hello! My name is Mike Linkenauger, and I am the Broker here at LinkUp Realty. Anyone who knows me well will tell you that I have a passion and purpose in life to help people of all sorts. From clients, to agents, to pretty much ANYONE in need, most of my life is dedicated to helping and serving people in one way or another. Whether you are a brand new agent or just now considering a career in Real Estate, or you are a seasoned pro, I want to and can help you take your business and your personal life to the next level. With the help of an amazing and unparalleled training, coaching/mentoring and IT/marketing staff, we work hard to develop the absolute best Real Estate agents in the industry here at LinkUp Realty. Please contact me personally today to discuss how myself and my team may be able to help YOU! Not all real estate companies are created equal. We are building our brokerage based around YOUR success. By equipping you with unparalleled training, coaching, marketing materials, leads and support - our goal is to turn you into a machine. In a time when brokerages are giving nothing and taking nothing, we are giving more and more. There are many reasons to join LinkUp Realty, but here are 11 that should give you something to think about! A steady flow of leads with no additional fees. We have generated over 200,000 real estate leads online and have plenty to spare (SEE PROOF HERE). Our agents typically get 1-3 leads each and every day from us, without additional fees. Amazing, completely custom community and niche specific websites to help create farm areas, without cost. We have yet to find a brokerage in the world who does anything similar to this! (sample 1 , sample 2, sample 3, sample 4, sample 5, sample 6). A top notch lead management and follow up system. Our CRM system provides our agents with everything they need to keep track of and effectively manage not only their entire sphere of influence, but all new leads. We even automatically set up long term drip email and follow up campaigns on your behalf for all leads. Fully staffed, state of the art office and support team. Our new office is conveniently located in Bartram Park and is available for you to use at any time. No monthly fees, desk fees, or junk fees. No kidding! Reasonable commission splits. Our multi-teir commission splits are very competitive. Facebook fan page with automatic daily posting in order to keep your friends and customers engaged. Facebook Page Example. Full use of our staffed graphic design and marketing team, to help take your business to the next level. When you join LinkUp Realty, you have an entire team of dedicated professionals at your disposal to help build your Real Estate business. Additionally, our agents get 50%-90% of their closings directly from the buyer and seller leads that we provide without additional fees/referrals. 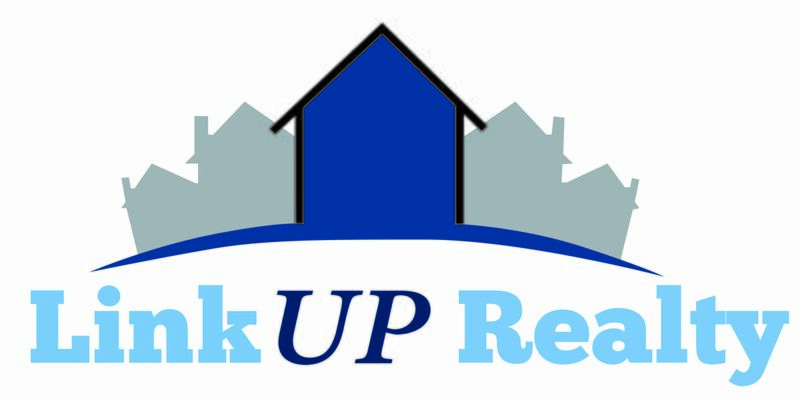 LinkUp Realty has to offer!